South Africa, Johannesburg – September 17, 2014 – Samsung Electronics, the market leader in TV technology for the last eight years, has announced its partnership with world-renowned digital artist, Miguel Chevalier, to create the “Origin of the Curve” digital art installation, which will be on display at the Samsung booth during IFA 2014, from September 5-10 in Berlin. IFA is Europe’s largest consumer electronics and home appliance trade show. “Through its brilliant merging of technology and art, “Origin of the Curve” represents a new and emotional approach to creative marketing. Attendees will have the opportunity to experience the power of the Curve with the fully immersive sensory experience provided by Miguel Chevalier’s poetic and elegant art installation that utilises the incredible and natural design of the new Samsung Curved UHD TV, launched in May 2014 in South Africa,” says Ansgar Pabst, Business Lead for TV/AV at Samsung Electronics SA. The “Origin of the Curve” is composed of several overlapping arches and multiple Samsung Curved TVs showing virtual-reality artwork that shifts and transitions in choreographic movement to generative music provided by composer, Jacopo Baboni Schilingi. To amplify the multi-sensory and immersive experience, infrared sensors allow attendees at IFA 2014 to interact with “Origin of the Curve” by creating distinct visual fluctuations of intricate coloured patterns on its curved TV screens. “Origin of the Curve” is displayed in Ultra High-Definition resolution to provide a stunning and full-spectral rendering of the new Samsung Curved TV’s impressive UHD colour capability. “When working with digital imagery as a medium, having the ultimate in display capabilities is crucial to the successful execution of my creations,” said world-renowned artist, Miguel Chevalier. “The new Samsung Curved TV merged seamlessly with my artistic direction for “Origin of the Curve” as it delivers the very best high-definition and colour . . .
JOHANNESBURG, South Africa – September 16, 2014 – Samsung Electronics, a global leader in the industry, introduced an expanded lineup of TV and audio products at IFA 2014 - providing total solutions for the ultimate in entertainment. The company showcased 17 curved TVs in Full High-Definition (FHD), Ultra High-Definition (UHD) and Light-Emitting Diode (LED) ranging in size from 48” to 105”; its revolutionary 105” Bendable UHD TV and a new Curved Soundbar. “We’re at the helm of a new era in TV viewing - driven by the curve, a simple yet powerful design ethos,” said Ansgar Pabst, Business Lead for TV/AV at Samsung Electronics SA. IFA 2014 marked an exciting time to share the power of the curve with the world and to bring the device into the mainstream and highlight its impact on the household and TV market as a whole.” Providing total solutions to satisfy various needs This year, Samsung introduced the widest selection of devices, which included the 105” Curved UHD TV. This product features a panoramic 21:9 aspect ratio that allows consumers to enjoy an immersive cinematic experience at home. Boasting an 11 million pixel (5120X2160) screen resolution, it delivers five times the performance of Full HD and adjusts any content to UHD. Additionally, Samsung’s proprietary picture quality technology will register subtle differences of brightness and highlight contrasts to expand the range of picture quality on the screen for better details, in even the darkest screen images. Further to this, it includes a powerful 160W built-in speaker and the timeless Gallery Design is a beautiful addition to any home interior. Samsung also introduced the revolutionary Bendable UHD TV. Boasting a versatile and eye catching 105” UHD display and a 21:9 aspect ratio, it seamlessly goes from flat to curved, allowing users to decide how they want to watch TV. This newest creation from Samsung features a timeless Gallery Design and a curvature of 4200R. It also offers UHD Dimming . . .
Prologix Distribution, the leading Value Added Distributor (VAD) in the Middle East and Africa, is an authorized distributor for Trango Systems ’Fixed Wireless Backhaul Applications & Solutions across the region. The VAD has been Trango’s partner in the Middle East for quite some time now and boasts of carrying the complete portfolio of the world’s leading point-to-point microwave backhaul solutions provider. 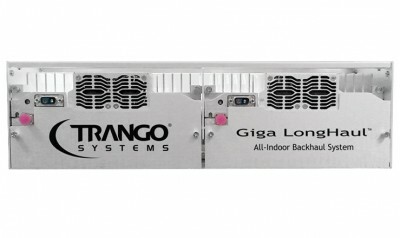 The newest addition to this is Trango’sGiga LongHaul™ product; an all-indoor microwave backhaul system for 6-11 GHz Licensed Bands designed to provide high capacity communication over long distances. 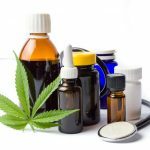 Following its launch, the product has become an instant hit in industries such as government, utilities, airports, public transport (rail and metro), telecom, healthcare, banking and other large enterprises. Based in San Diego, California, TrangoSystems has been delivering wireless solutions since the year 1996. One of the world’s largest manufacturer and supplier of wireless IP backhaul solutions, Trango’s rich legacy comprises of experienced engineering and manufacturing teams, long history of producing RF and IP equipment and their strong relationship with Broadcom. The ISO9001 certified company boasts of a 30,000 square foot manufacturing facility, state-of-the-art, fully automated SMT (Surface Mounting Technology) lines, fully automated Optical Inspection capability (AOI) and comprehensive system and subsystem testing over temperature. The company focuses on 100% customer satisfaction by testing every link and configuring it to customer satisfaction. Prologix is well known in the region not only for its expansive range of RF and Microwave, WiFi and Networking products but also for its unchallenged expertise in presales technical assistance (professional path analysis, product selection and frequency coordination), customer driven PathCheck mobile application and excellent customer service and after-sales support. The distributor’s other offers . . .
JOHANNESBURG, South Africa – September 12, 2014 – Samsung Electronics is proud to announce that its Laser and Multi-function Printers (MFPs) have won seven awards for Outstanding Achievement at the Buyers Laboratory 2014 Summer Pick Awards. The Xpress C1810/1860 series, M2835/2885 series, and the MultiXpress CLX-8640/8650 series were all recognised for their superior performance in the printing category. Buyers Laboratory LLC (BLI) is the world’s leading independent evaluator of document imaging hardware and software. Bestowed twice a year by the editors of BLI, the awards honour the top-performing solutions assessed in BLI's lab during the previous six months. “Samsung’s Printing solutions are designed to drive productivity and efficiency and we are delighted that BLI has recognised our commitment to creating innovative products that meet changing business needs,” said Mike van Lier, Divisional Head of the Enterprise Business team (EBT) at Samsung SA. Samsung recognised for superior product performance Five Samsung printers and MFPs were recognised for Outstanding Achievement in the hardware catergory. This includes the Xpress C1810/1860 series released earlier this year, which received the award for the Outstanding Personal Colour Printer and MFP, with its full-colour touchscreen, the device is able to simplify any printing task such as scanning, copying or downloading. Tony Maceri, BLI Senior Test Technician praised this model for delivering a complete pack of leading-edge technologies at an affordable price. He said, “The full-colour touchscreen, still rare at this level, makes programming, scan or copy jobs easy, while Samsung’s Mobile Print App and the integrated NFC technology lets users print or scan with a simple tap of their NFC-enabled smartphone on the MFP.” The Xpress M2835/2885 series also received awards for the Outstanding Personal Monochrome Printer and MFP respectively, demonstrating the simplicity of Samsung’s mobile printing . . . Overcome one of the greatest server limitations: memory. From cloud computing and vizualisation to HPC. Big Data and more, memory-dependent server applications require increasingly higher levels of performance than are attainable on current DDR3 technology. 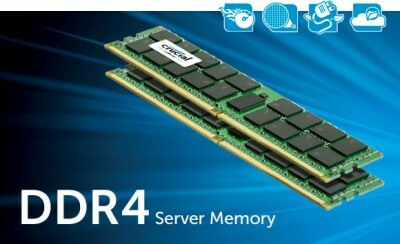 Enter Crucial DDR4 server memory. Process data faster. Reduce power expenses. Extend battery life. Double a system's memory capacity as module densities mature. Crucial DDR4 memory technology is up to twice as fast and delivers 50% more bandwidth and 40% more energy efficiency than DDR3 technology when it was introduced. Designed to enable the next generation of enterprise and consumer products, Crucial DDR4 memory works with next generation processors and makes everything you do on a computer or server faster and more efficient than ever before. Product Highlights * Process data faster - up to twice as fast as introductory DDR3 data rates * Increase data throughput - up to twice the bandwidth of introductory DDR3 memory * Double server memory capacity - enable up to twice the installed memory capacity as module densities mature * Enhance cloud computing, Big Data, HPC, and more * Increase power savings by up to 40% * Easier system cooling – less heat generated per module * Optimized for future Intel® Xeon® processor E5-2600 v3 product family * Compatible with OEM servers and warranties * Limited lifetime warranty* Benefits for Every Type of System Servers Servers are constrained by memory bandwidth, capacity, and ever-increasing power costs. With the increased performance and efficiency of Crucial DDR4 server memory, boost bandwidth by up to 50%, and reduce power consumption and the need for cooling. Enable up to twice the installed memory capacity and process data faster. Gaming Systems Gamers are always looking for a performance edge. Crucial® Ballistix® DDR4 performance memory unlocks next-gen memory performance and increases responsiveness and frame rates . 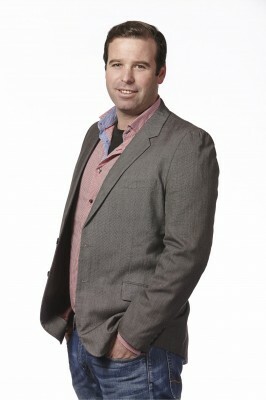 . .
Atlantic Telecom Systems (KZN)Pty Ltd is proud to announce that Rick Crouch has joined the Atlantic team. Atlantic Telecom Systems (KZN)Pty Ltd is a telecommunications company specialising in IP business phone systems, in particular the Toshiba IPedgeseries, and video conferencing systems. Atlantic has three branches;Johannesburg, Durban and Cape Town. Rick comes with a solid background in both the IT and Telecommunications industries. Residents in Durban will be well acquainted with Rick who is also a City Councillor in Durban Metro representing the residents of Ward 10. Atlantic Telecom Systems is represented nationally with branches in Johannesburg, Durban and Cape Town. Rick will be heading up the KwaZulu-Natal operation of Atlantic Telecom Systems (KZN) Pty Ltd which will be based in Hillcrest and service the entire province of KwaZulu-Natal with both sales and service. Media Contacts: Rick Crouch rickc@atlantic.co.za Cell: 073.418.6996 Web: www.atlantic.co.za Doug Reed Managing Director doug.reed@atlantic.co.za Cell: 082.376.4944 Office: 011.367.4070 web: www.atlantic.co.za Author: Rick Crouch from Atlantic Telecom Systems (KZN) (Pty) Ltd. Twitter: https://twitter.com/AtlanticKZN Facebook: https://www.facebook.com/atlantictelecomsystems CLICK HERE to submit your press release to MyPR.co.za. . . .
Syntech announces the launch of the WD Red Pro Nas Hard Drive! WD, a Western Digital company, and world leader in storage solutions, has announced the expansion of its award-winning WD Red line of SATA hard drives for home and small office NAS (network attached storage) systems with the release of a 5 TB and first-to-market 6 TB capacity for NAS-specific storage and the introduction of WD Red Pro hard drives that address the medium to large business NAS market. Compatibility-tested with top NAS system manufacturers and optimised for power and performance, WD Red 3.5-inch hard drives are now shipping in 1 TB to 6 TB capacities; and the new WD Red Pro 3.5-inch hard drives are available in 2 TB to 4 TB capacities. “With the expansion and evolution of the WD Red family, WD once again is providing its loyal customers with increased capacity up to 6 TB; improved bay count support with up to 8 bays; increased product breadth with WD Red Pro; and more features with the latest generation of NASware technology,” said Matt Rutledge, senior vice president and general manager, WD Storage Technology. “WD continues to listen to its customers and bring exciting innovation to the category they helped to create.” WD Red A storage industry innovation first introduced in 2012, WD Red hard drives address the unique environment of NAS and the growing demand for affordable, reliable and compatible storage that reduces customer total cost of ownership. With the release of 5 TB and 6 TB models, the WD Red line of hard drives is now further enriched with greater storage capacity and increased performance with NASware 3.0, an enhanced version of WD’s original NASware technology, designed to improve reliability and system performance, reduce customer downtime and to simplify the integration process. Red hard drives also feature 3D Active Balance Plus, an enhanced balance control technology, which significantly improves overall drive performance and reliability. Exclusive for WD Red customers, WD offers free premium 24x7 dedicated support. By . . .
Syntech believes in bringing value to the world through technology. Since our inception in 2002, we have, through the support of our clients, our commitment to the industry and a simple love for technology, grown and developed in leaps and bounds. With our thirst for learning, a drive for growth and a commitment to service excellence,we lead the market by overcoming challenges and never compromising our integrity. WHO WE ARE “Synergy is better than my way or your way. It's our way... Stephen Covey” It’s our strong work ethic and committed team that makes Syntech a success. We hire people based on attitude above proven ability and our strong and supportive culture helps to align the Companies vision with individual aspirations. We strive to empower our team to share ideas and take initiative to action them. We work closely with our key resellers to add value to the market by building solutions, incorporating products, integrating services and providing exceptional technical support. This methodology helps our partners to deliver more than just a product, it enables them to create solutions that match market demand. We cater for several industries and operate in multiple vertical markets, with particular focus placed on providing value added service and support to Mass Retail, Niche Retail , Online Retail, Managed service providers, Security and Surveillance as well as Apple Resellers. With a focus on high performance products such as Crucial, G-Tech, Sonnet, Kanex, Giada, WD, Atto and Seasonic, to name but a few, Syntech continues to offer value add through their experience in the industry. Our revolutionary approach to distribution and advanced logistics network of couriers throughout Sub-Saharan Africa enables us to deliver thousands of products daily and provide localised warranty support on all brands. This ensures that all clients can expect cost effective solutions, delivered on time. We offer a wide range of technical services which include memory and component upgrades and diagnosing of hardware problems. All . . .
Syntech believes in bringing value to the world through technology. Established in 2002, Syntech has continued to source and introduce the world’s leading products, cater for several industries and operate in multiple vertical markets, with particular focus placed on providing value added service and support to Mass Retail, Niche Retail , Online Retail, Managed service providers, Security and Surveillance as well as Apple Resellers. 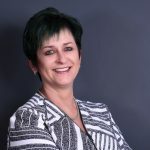 Syntech has developed a reputation for introducing and building excellent brands in South Africa and are pioneers and passionate about developing the market through an innovative approach to business. In 2011, CEO Craig Nowitz quoted “We are expecting to grow our revenue, and are in the process of embarking on an expansion programme that will see us expand and diversify our product range and market focus, as well as moving into larger premises during the first quarter of 2012.” Not only did Syntech move into new premises in Cape Town, but are now pleased to announce their further expansion with the opening of their Johannesburg office in Midrand on the 1st September 2014. This expansion into Gauteng is in keeping with sustaining Syntech’s significant growth over the past 4 years and was a necessary step. At Syntech, customer service has always been the number one priority and they believe that by being able to provide Gauteng based customers with local sales and support, the company will continue to go from strength to strength. Gauteng operations will also allow them to service other major centres, like Durban, Bloemfontein, Nelspruit and Kimberley, with ease since logistic and transport infrastructures to these regions are easier to access. Syntech remain firm in their commitment in building strong and fruitful relationships with their Resellers. The new branch will offer convenient access from both Johannesburg and Pretoria, and will have dedicated sales staff, local stock holding as well as a technical division for . . .
FOR IMMEDIATE RELEASE Gumtree officially biggest website in South Africa Effective Measure, the official online audience measurement supplier of the Interactive Advertising Bureau (formerly the DMMA), has announced that Gumtree is the most trafficked South African website based on unique browsers received. “Gumtree is now officially the largest Effective Measure tagged IAB member site in South Africa for South African users,” says Effective Measures MD, Alan Morrissey. “It shows South African users are in the market to buy and sell online.” The classifieds site, which attracts an enormous audience of almost 8 million (7,969,853 unique visits in August, according to EM) to the platform every month, covers a variety of categories ranging from the sale of vehicles and household goods to property rentals and small business services. “This announcement has made official what we’ve known for quite some time – Gumtree is the biggest website, and the biggest classifieds site, in South Africa,” says Johan Nel, MD of Gumtree South Africa. Nel believes there are several reasons behind the success of the platform. “Online commerce is fickle, which means you have to consistently be the best at what you do in terms of customer service, safety and delivery. When we ask our users why they are so loyal to Gumtree, they tell us it’s because the site, frankly, does what it’s meant to do for them. Anyone can log on, for free, and find their personal success...whether it’s promoting your home business, selling your unwanted exercise bike or finding your first home. We’ve heard stories of people making an income purely off Gumtree...that’s very powerful and we’re committed to helping our users achieve their goals through the site.” This accolade follows shortly on the heels of the announcement that Gumtree took the number one slot in Millward Brown’s quarterly Best-Liked Ads survey, beating several large international competitors for the title. The site has been . . .